"I Looked Stupid Sometimes, Even Crazy." Dato' Lewré On Innovation, Funding And The Future. Lewré as a brand probably needs very little introduction. 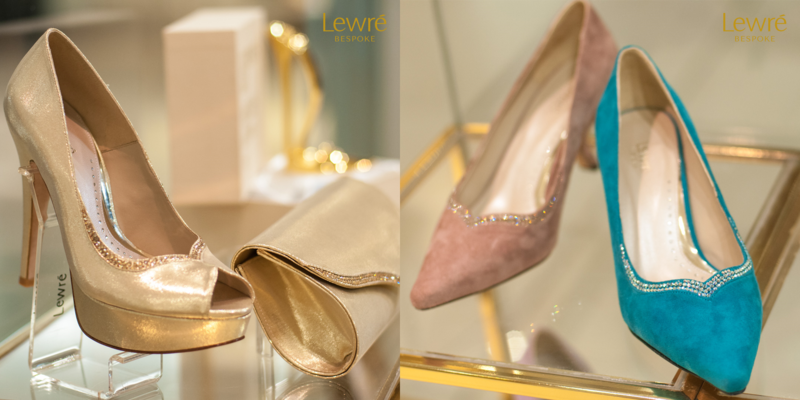 Founded by Dato’ Lewré Lew in 1997, in the past 20 years, they’ve made their way all over the world, and even onto the feet of royalty. In 2015, they diversified into F&B and opened up the first Nicsmann by Lewré in TREC KL, offering what they call “restaurantainment”. The second outlet was opened last year in Starling Mall. In more recent news, the Lewré brand decided to go into equity crowdfunding (ECF), and has already surpassed the minimum target of RM1,000,000, with 27 days left to go. We had a chance to have a sit-down interview with the Dato’, who remains the creative mind and visionary force driving the brand. He answered some of the questions that we had about Lewré, the funding and their foray into the tech scene, as a “traditional” business. 1. Why choose ECF in the first place? Equity crowdfunding to raise funds for a company’s expansion has seen a rise of popularity in the recent years. But we had to ask why did a well-established company like Lewré decide to take this path? According to Dato’ Lewré, it boils down to one simple thing. He wanted to allow his friends to jump on board to own shares in his company. He explained that it was a win-win situation. As a retailer, he would like for his customers to become his investors, whether big or small. 2. When did Lewré’s evolution into a tech company begin? According to the Dato’ he started toying with the idea 10 years ago. So over 5 years ago, he started a programme to develop the technology that he needed to transform Lewré. This programme resulted in a special shoe-maker machine (now with tech that’s patented worldwide). In the past two years, Lewré has also been transforming from a mixture of ready-to-wear and bespoke, to now placing more emphasis on bespoke. 3. What do we have to look forward to in 2018 for Lewré? The machine mentioned earlier will play a major role in Lewré’s plans this year. Phase 1 was developing the machine and running the prototypes. Next is commercialisation. As part of the model, the bespoke shoes made will also come with a special insole that is able to detect the wearer’s walking style and habits, feeding that information back to the company, that will allow them to redesign or refit the shoe to even better match the user. Over the next 18 months, the plan is to roll out the machine across Lewré stores worldwide, along with an accompanying app. With factories in strategic locations worldwide, the goals is to get bespoke shoes delivered to customer doorsteps 24 hours after measuring. Through their technology, Dato’ Lewre sees his shoes become smart shoes, able to measure key health stats like weight, blood pressure, heart rate and sugar level, in real-time. “If your blood pressure is a little high, then you can ask the app what to do, and it will be able to tell you what are the recommended steps to take,” he explained. The third and final phase of his project is A.I. technology. Dato’ Lewré envisions his shops staffed by robots, who, with access to customer data, are able to greet them by name, remember their tastes and up their level of service and efficiency. On the Nicsmann by Lewré side, he’s planning on opening more outlets, with Genting being the first port of call. “We will be in China very soon, and Lewré will follow 18 months later,” he told us excitedly. 4. What are the key traits of entrepreneurship that has brought Lewré to where it is now? Dato’ Lewré firmly believes that it’s his background that really empowered him and drove him to succeed. Coming from a family of 15 brothers and sisters, he remembers having to wake up early every day, and running home in the pre-dawn light to get to school. In fact, in the early days of his business, his own partner had doubts. His key lesson from that was, sometimes even partners will not believe in you. When wrapping up, he left us with some advice for potential entrepreneurs. Finally, he told us of his hopes that his brand and experiences can become an inspiration for Malaysians. Founded in 1997 by Dato’ Lewré Lew, Lewré is fresh off a successful and still ongoing equity crowdfunding campaign with Ata Plus. 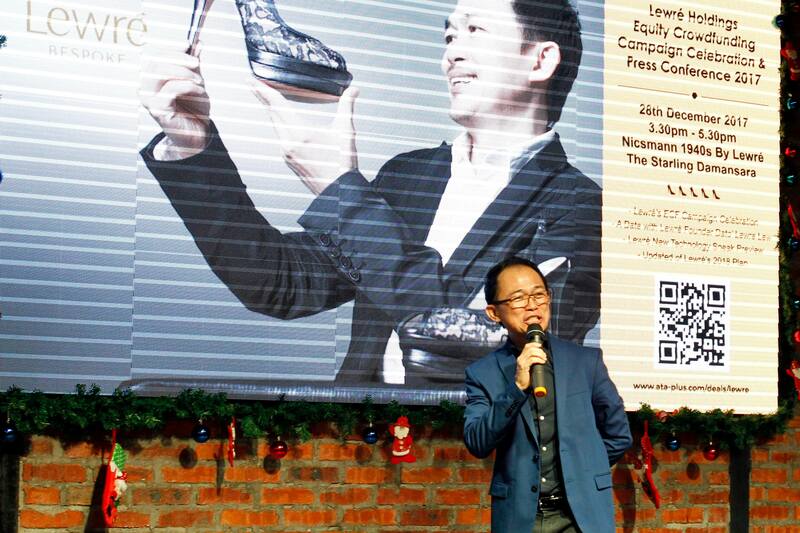 Lewré’s shift into a tech company began with Dato’ Lewré’s anticipation of the current trends and is part of their efforts to remain fresh and relevant. Their prototype machine—that will enable their company to custom make smart shoes for customers—will be rolled out in stores in the next 18 months. 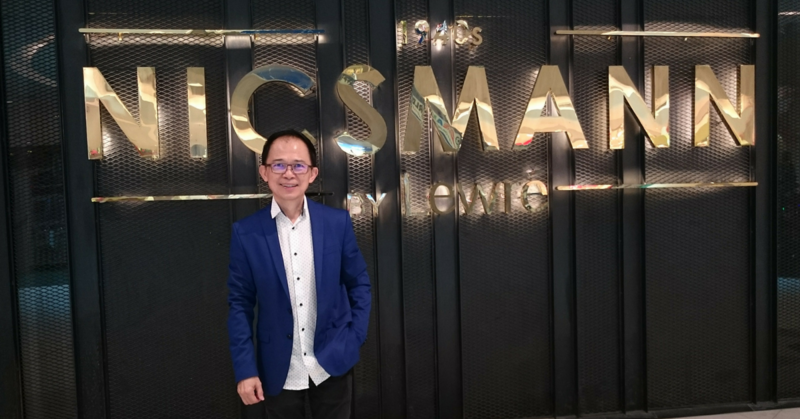 It took a huge amount of grit and perseverance to build a successful Malaysian brand, and Dato’ Lewré hopes that he can be an inspiration to other young Malaysian entrepreneurs.